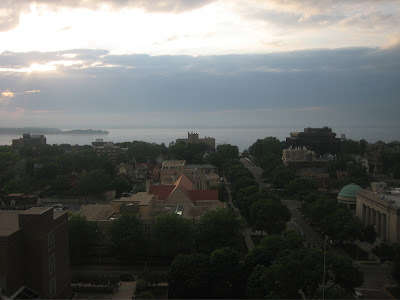 View from my hotel in downtown Madison, WI. LOVE those trees. 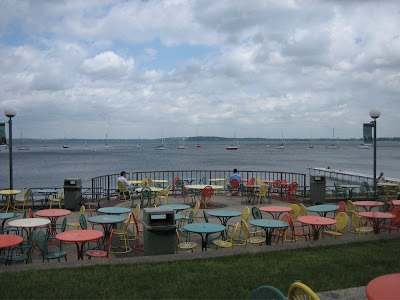 Memorial Union Terrace, downtown Madison - where I would spend every day if I lived there. 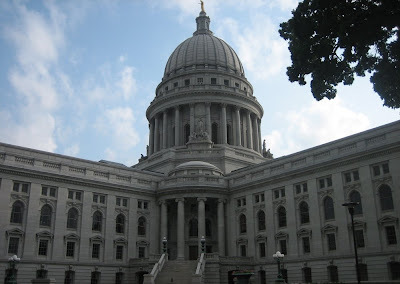 Capital building of Wisconsin. I heart symmetry. 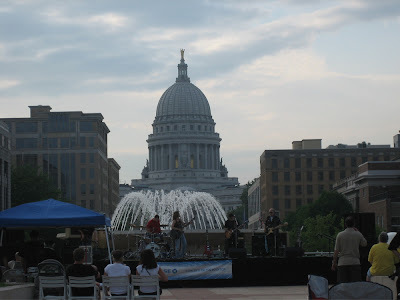 "FREE CONCERT" on the Monona Terrace, perfectly set between the lake and the view of the Capital. **Sigh** My kind of evening. I'm sold! Looks gorgeous! 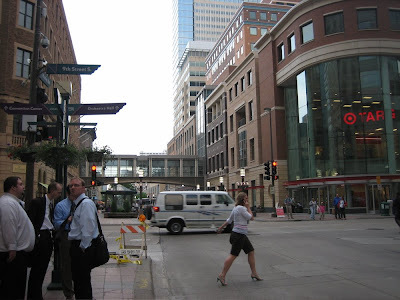 And seriously, WTF is up with California real estate prices vs. the rest of the free world?